Read and Write the Grimrock .model format. While at the moment, there isn't much you can actually do with the data, I've written the code to write the models back to disk. 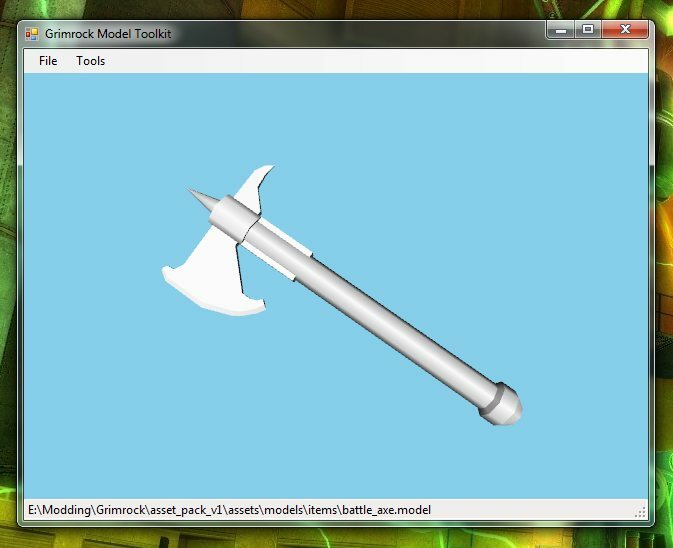 Preview any model in the model window (no textures yet). Alter the Material name on any Mesh Segment. Here's where (1) comes in handy, as it obviously means you can save a clone of a given model with different materials (which are then linked to actual texture files in the Lua scripts for a mod). Screenshots all link to full-sized versions to keep the forum tidy. No download available yet I'm afraid - it's almost 3am at the moment and there's more stuff I would like to add before releasing it (textured preview to start with - and then 3DS or another common file format for import/export). Update (24 Sep 2012): I have made a preliminary version of the application available for download from my blog. I've hurriedly put together a page on my blog to host the application too, but I expect I'll be posting here more than there about it as the forums seem like a better place to have a chat about features / bugs etc. While the new version has buttons for OBJ import/export - they don't work properly yet. I'm releasing this version for re-texturing purposes only (which it works fine for). 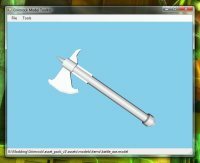 Note: I originally wrote my grimrock 3d library in Python, and got it to the state where it could replace Materials on the command line, but decided that it would be better as a desktop application so that users didn't have to remember an arcane list of commands. If anyone is interested in the Python source code, just PM me - you're more than welcome to use my grim3d module to read/write Grimlock .model files in Python (might be useful in writing a Blender importer?). Last edited by JohnWordsworth on Mon Feb 10, 2014 1:38 am, edited 3 times in total. Does this mean you could make that thing that lets people convert models into Grimrock-compatible ones? Because last I heard, somebody still needs to do that before we can get custom tile sets. Location: Chateauroux in a socialist s#!$*&% formerly known as "France"
A trip of a thousand leagues starts with a step. This looks great, but if you're going to add file formats for input (for conversion to .model) please please please don't use .3ds, but a common file format like .obj or .fbx. That's what we really need to get our stuff from max/modo/maya/blender etc to grimrock. That's fantastic! Finally someone is working on something like this. Bek wrote: This looks great, but if you're going to add file formats for input (for conversion to .model) please please please don't use .3ds, but a common file format like .obj or .fbx. 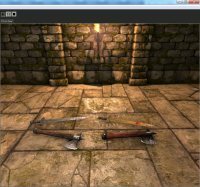 That's what we really need to get our stuff from max/modo/maya/blender etc to grimrock. 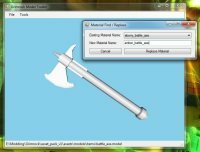 Isn't it possible to export as 3ds from Blender? At least there is an option for it in the export menu. looking good! but as said above, use .obj or .fbx if possible and it's gold! Thanks for the comments / suggestions - I'll hopefully get some time today to add OBJ import / export and possibly even get some textures on the model preview. Whatever happens, I'll post a binary later on this evening (UK time) for people to play with as its quite cool even just changing the textures at the moment. very nice to read this, and THANK YOU for your effort, this will be really helpful to everyone! 1. I've made a very early build available on my website. Specifically, on a very hastily put together Grimrock Model Toolkit page. Please note that I've not really got my head around how to distribute C# applications, as I've only ever used it for XNA and Web deployment before - so if the installer chokes, accept my apologies. It can theoretically do fancy stuff like auto-inform you of updates etc, but it doesn't do anything like that yet! 2. 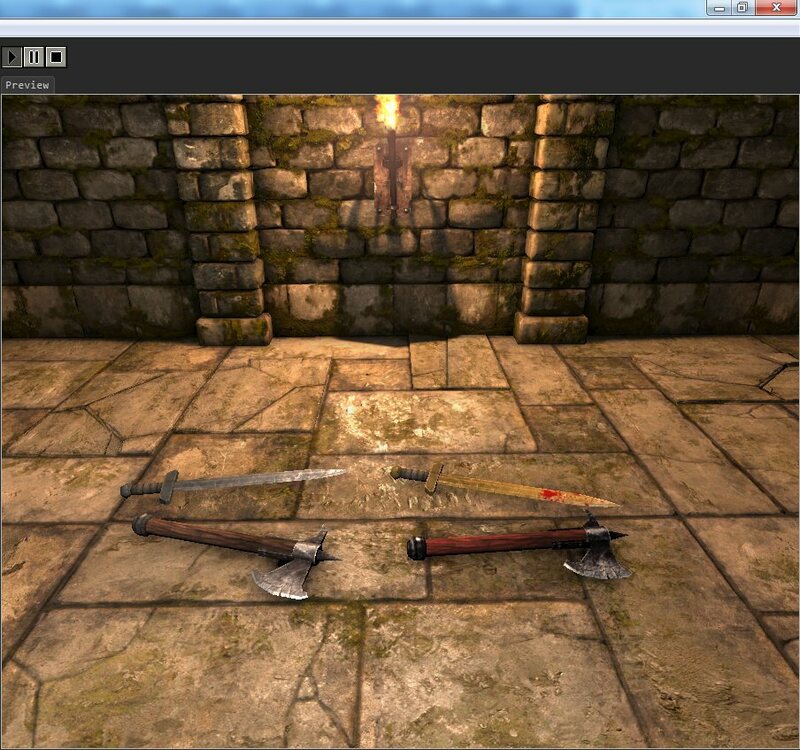 The preliminary version should work for simple re-texturing of models. In order to do this, open a .model file (either by going to File->Open or double clicking on it), then to go Tools -> Material Find / Replace. Select the name of an existing material from the drop down and enter a new material name. Then save the model with a new filename and simply define a new material in materials.lua with the new material name. Last but not least, you will have to create a new item in items.lua, which is likely to be a clone of the original object with a new model reference. Remember that your model file will be a .model file, but you need to reference it as a .fbx file in the lua. Equally, textures are .dds files but should be referenced as .tga files. 3. The preliminary version does not work properly for importing/exporting OBJ files. 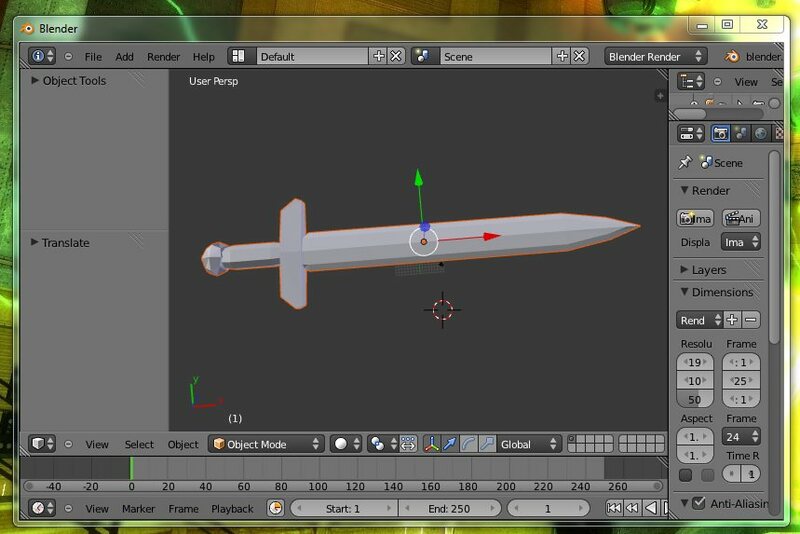 The exporting seems to be ok - I've loaded the long_sword into Blender via the OBJ file format, but the opposite does not seem to work. While the OBJ files appear in the editor, they do not appear in the game. It could, however, just be a size issue or something strange - so if anyone with export 3D experience has time to play, please feel free! I've got a crazy busy week ahead I'm afraid. A few days of heavy work and play commitments followed by a trip to London for the Eurogamer Expo on Thursday. You almost certainly don't care about my social life, but I'm posting this to let everyone know that I will unlikely be able to make updates until next week now. Unless I get to sneak a few hours in here and there. Hence my posting the link to the binary even though it's an early build.